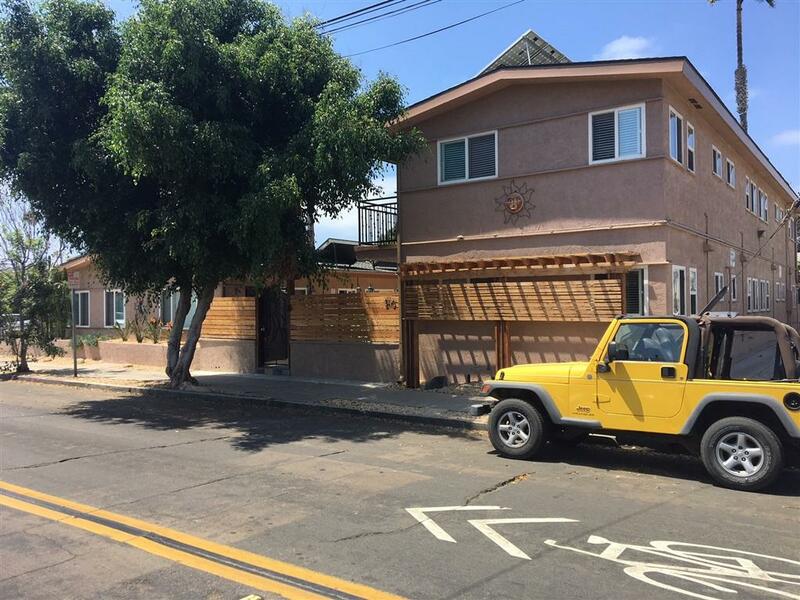 We are pleased to present 2104-10 Bacon Street, a rare apartment investment in one San Diego's most gentrifying beach communities. The property consists of two buildings resting on a 7,813 square foot lot two blocks from the ocean. The complex is composed of ten, 325 square foot studio / 1-bath apartments and one 1,100 square foot 3-bedroom / 2-bath unit with a double garage and 8 off-street parking spots. The exterior and courtyard of the property have been newly redesigned with a contemporary spanish style, featuring wood accents, stucco exterior and outdoor tile walkways. Substantial upgrades have been made to the property including solar panels, a security camera system with dvr, a bike rack, flood pumps and drainage system, flood gates, courtyard WIFI, fencing, tile work, grilling area, railings, laundry and interior renovations to select units. All units have been well maintained and feature wood cabinets and tile flooring. Listing provided courtesy of Marcus & Millichap. Listing information © 2019 San Diego MLS, Inc.